Automatonophobia can be loosely defined as the fear of wax figures, humanoid robots, audio-animatronics, or other figures designed to represent humans. Only rarely does the fear become a full-blown phobia, but it is relatively common to experience hesitation or nervousness when confronting these figures. It is currently unknown precisely what causes this phobia. It may be partly due to our own innate expectations of human behavior. We tend to mistrust people who stare blankly, remain quiet, or act in ways that we do not consider “normal.” Whether programmed to move or simply standing silent, automatons look but do not behave like humans. In addition, the level of craftsmanship can vary widely from figure to figure. Today, most look startlingly lifelike, but closer examination shows that they are slightly “off.” Smooth, perfect skin, vacant eyes, and other qualities are shared by automatons but do not perfectly represent human bodies. Designers of these figures are, of course, aware of the limitations of their work. Consequently, many figures are housed in displays in which the lighting is designed to minimize scrutiny. This may involve dim lights, spotlights, and other effects that could be considered “creepy,” further adding to the fear-inducing effect. Automatonophobia is often thought to be related to maskaphobia, or fear of masks. Pediophobia, or fear of dolls, is also a subset of automatonophobia. These fears are believed to have similar causes and origins. This fear has been exploited in numerous books, television shows, and films. Perhaps the best-known example is the original Vincent Price version of House of Wax. Originally shown in 3D to heighten the effect, the 1953 movie focuses on a crazed wax sculptor turned serial killer. Badly disfigured in a fire, the sculptor wreaks vengeance by murdering people and then turning them into wax displays for his museum. The film was remade in 2005 with a very different plot. This fear can manifest in many ways. Some people are afraid only of wax figures, others of dolls. Some are unable to visit theme parks or local attractions, which frequently use moving humanoid figures called "audio-animatronics" in their displays. If you suffer from automatonophobia, you may experience shaking, crying, heart palpitations, and other physical effects when confronted by the object of your fear. You may be unable to enter a display that houses automatons. If you encounter one unexpectedly, you may run away, freeze in place, or even hide. 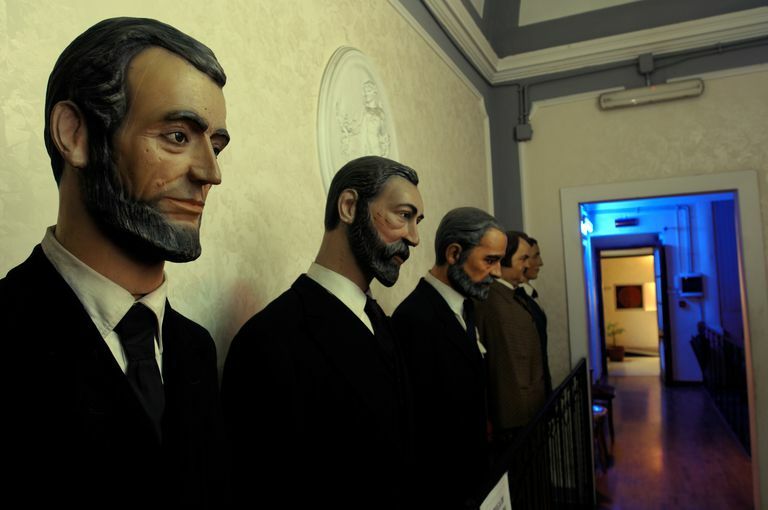 Automatons are considered a hallmark of new technology and are proudly displayed in locations, ranging from museums to theme parks to even carnivals. Over time, you may find yourself avoiding more and more locations for fear of coming across an automaton. This can lead to social isolation, and in extreme cases, even agoraphobia. Automatonophobia is easily treatable with proper therapy. The exact course that therapy takes will depend on your specific symptoms, their severity, and the impact that they have on your life. Cognitive-behavioral therapy is the most common form of therapy used and will help you learn to replace your negative thoughts about automatons with more rational messages. You may go through systematic desensitization, in which you are gradually exposed to the object of your fear. You may also be taught relaxation exercises to use when the anxiety flares. When seeking out therapy for automatonophobia or any phobia, be sure to choose a therapist you trust. American Psychiatric Association. (2013). Diagnostic and Statistical Manual of Mental Disorders (5th ed.). Washington, DC: American Psychiatric Publishing. How Can You Be Afraid of Zombies?